Budding was inspired after seeing a machine in a local cloth mill which used a cutting cylinder (or bladed reel) mounted on a bench to trim cloth to make a smooth finish after weaving. 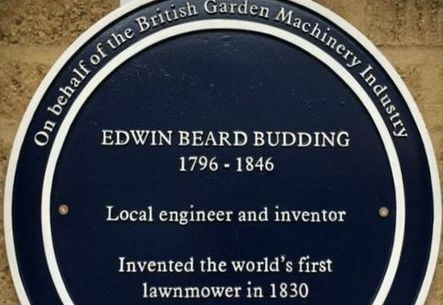 Budding realised that a similar concept would enable the cutting of grass if the mechanism could be mounted in a wheeled frame to make the blades rotate close to the lawn's surface. He went into partnership with a local engineer, John Ferrabee, and together they made mowers in a factory at Stroud. Budding's mower was designed primarily to cut the lawn on sports grounds and expansive gardens as a superior alternative to the scythe. 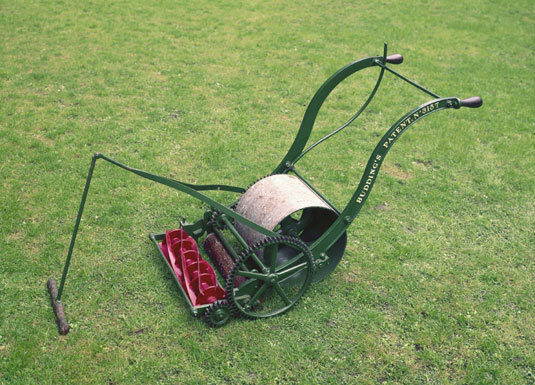 His patent of 25 October 1830 described "a new combination and application of machinery for the purpose of cropping or shearing the vegetable surfaces of lawns, grass-plats and pleasure grounds. Country gentlemen may find in using my machine themselves an amusing, useful and healthy exercise." One of the first of Budding and Ferrabee machines was used in Regent's Park Zoological Gardens in London Zoo, in 1831. It took another ten years and further innovations to create a machine that could be worked by donkey or horse power, and sixty years before a steam-powered lawnmower was built. 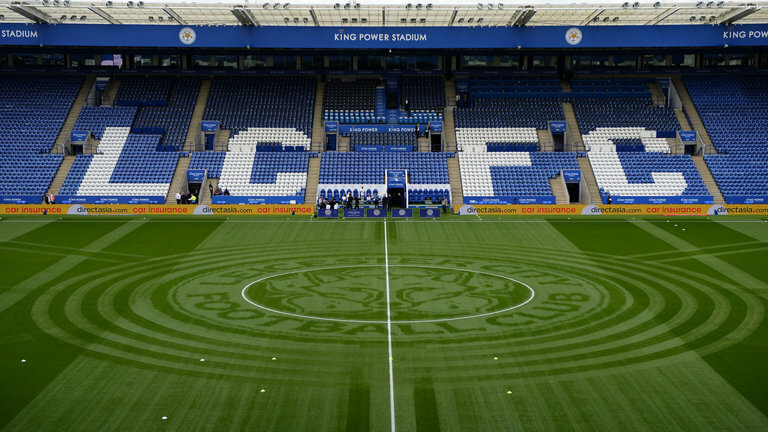 And this how artistic mowing on grass can be. Budding also invented an adjustable spanner or 'screw wrench' around 1842, registered in 1843. An alternative crest headed adjustable spanner was developed by a work colleague Richard Clyburn (Uley UK) in 1843.